I’ve been meaning to get around to blogging this for a few weeks but have been putting it off, just cos it’s a hard album to do justice to in words… you SO need to hear this! Not all at once, mind. This is an album that ranges from the Caravan-esque psychedelic jazz-rock of opener ‘The Journey To Serra Da Estrella’, to the punk-funk neo-proto-rap of ’15-20′ (which you’ve probably heard), to the glittery space disco of the single ‘You’ll Disappear’ (out next week) to the blue-eyed soul of ‘Baby’. It’s an album that I suspect grew up in the 1970s, wearing pale blue flared, brushed denim jeans and riding a Schwinn Stingray… and I can so get to that. Yes I can. Oh yeah, and some of the band are also in TV On The Radio. If that’s of any interest. *one of my least favourite expressions in the English language. SO over-used. About the label: This is brought to you courtesy of Tim ‘Love’ Lee’s Tummy Touch, which has always been a bit more miss than hit, to these ears… but remember they brought us Groove Armada way back when, and now they’ve brought us this, so we’ll forgive ’em. Not me on the dancefloor – graceful and elegant sight to behold though that may be – but rather Me On The Dancefloor, which is a Facebook group you might like to know about for keeping up with release news, club nights, radio shows and so forth. MOTD seems to be doing pretty well, they’re sponsoring a series of parties called As One in Ibiza this summer for starters. The news feed is nicely non-partisan, which means it covers a broader spectrum than you’ll find on this blog (by which I mean there’s quite a bit of trance and electro, basically) but that’s a good thing… one love and all that, plus Jon who runs it has been kind enough to show TIWWD plenty of love so the least a boy can do is reciprocate! The best minimal was never really a genre in its own right in my book… and so it is here. Over the three mixes, what you basically have is bouncy, slightly wonkified deep house (Original Mix), deep techno (Nidecker Mix) and mellow, tech-y prog (Stefanowitz Mix). I’m feeling the Original Mix the most, unsurprisingly, but Nidecker’s mix is pretty fine too. What you DON’T have is wanky self-indulgent post-IDM ‘electronica’ thoroughly devoid of melody and funk, and full instead of nasty grating synth noises repeated at 11-second intervals for the next six minutes. THAT’S the kind of minimal I was slating before. Just so’s we’re clear. Oh, and the really good news? The track is free to download! Hurray! So go grab it from the Strom site here. *That’s from Song Of Myself by Walt Whitman, don’t you know? Come for the house reviews, stay for the American 19th Century epic poetry. About the label: It’s on Strom Netlabel. 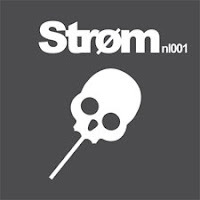 I know nothing about parent label Strom but from their website I gather it’s a Dutch techno label, which would explain that. Anyway Strom Netlabel is in their words “a net label with some deeper stuff and it’s free”… what more do you need to know? The German house music onslaught continues, although this is actually the work of an Australian, known to the taxman as Cam Farrar. And unlike a lot of the current ‘house revival’ coming out of Germany, this isn’t some post-minimal deep house affair, just 12 tracks of straight-up Chi-town jackery. Ac-ieeeed! About the label: It’s on Berlin-based behemoth International Deejay Gigolo, who as I’m sure you know are better known for their techno and electro, but they’ve lately also been doing a fine line in retro acid house, as we see here. More on that soon. Anyway, yeah: super-crisp gar-ahhhge beats, warbling organs and a legendary pair of disco tonsils getting a serious workout on top… musically it doesn’t really get any better than that for me. Er, except then you get to the Dub, and arguably it does (I can’t quite decide, but big up Mr Sean McCabe anyway, who’s behind the boards on both mixes promo’ed). About the label: All hail the mighty King Street, some 15+ years young and still one of the best gosh-darned house labels in the world as long as they keep putting out stuff like this. Which, incidentally, is out now digitally, but you’ll have to wait till July for the vinyl. The hype sheet for this makes comparisons to both Kerri Chandler and Carl Craig, neither of which I’m sure is justified, but the Craig comparison is probably nearer the mark in that this has that sweeping, orchestral feel. But it’s also a sight more proggy. 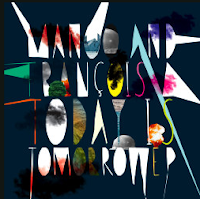 Still, both tracks here could work for deep or prog jocks, with A-side Today Is Tomorrow being more of an uptempo, electronic cut and Souvenir a bit more atmospheric. They’ve both got ‘mix CD opener’ written all over them though, as opposed to ‘dancefloor destroyer’. About the label: Buzzin’ Fly, as I’m sure you know, is Ben Watt’s label and needs no introduction from me. Find them here. “Gimme a beat, you freaks!” The prolific duo of Brown & Phelan (see also recent releases Dusted Roots Vol 3 and, from Phelan & Origami, The Big Remix EP) deliver another very checkable deep house slab here. The Original Mix is the one for me, a proper bumper in that west coast/east Midlands kinda way. Ross Couch’s two mixes are a touch techier – head for the Dub for some even bouncier dancefloor action. 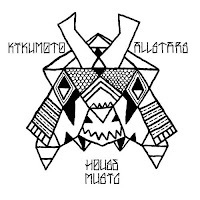 I’m less taken personally with the Fingermonsters’ Remix but if you want it tuff and electrofied then that’s where to heard. Gimme A Beat is OUT THIS WEEK on Prismatic Tracks. About the label: Prismatic Tracks is run by Andrew Phelan, who works at San Francisco’s legendary Moulton Studios and has also had releases on Drop Music and So Sound, among others. Gimme A Beat is Prismatic’s 15th release. Actually this is Don’t You Wish (Part 2) but part one seems to have slipped by me… anyway, if you can cast your mind back to the late 90s, when UK garage reigned supreme, well, that kind of near-falsetto male vocal à la Craig David/Artful Dodger/etc is what you get from Aren B here. And that’s not meant as a diss! Mixes come from Nick Dare, Peckos and Paul Hardy, with the latter’s vocal and instrumental rubs my pick for their tuff, bouncy beats and squelchy synths. Hardy’s a new name to me but he’s apparently a 2020Vision studio boffin who’s had releases out on 2020, dotbleep and his own Baker Street Recordings. Oh, yeah, and this is OUT THIS WEEK, cat no LMDX011, and you can click here to find out where to get it. About the label: Don’t You Wish comes atcha on Lost My Dog. LMD are kind of, if not unsung then certainly undersung heroes of the UK deep house scene… they send me loads of stuff that often gets overlooked for iDJ cos it’s on CD, so I’m gonna try and rectify that on this blog this month! New Mondo are better known as west coast deep house heroes Vincent Kwok and DJ MFR, but this debut long player is a bit of a surprise… cos Total Control is a far more accessible, dare I say poppy project than you’d expect from this pair. Don’t get me wrong, we’re not in Spiller/Freemasons territory just yet. But still, this is the kind of slickly produced ‘grown-up pop’-style house that’s more familiar coming from fellow San Fran stable Om, than from the generally more underground Transport. I still quite like it, though. If you’re not in the mood then it can easily start to sound a bit too sickly sweet (and those who are allergic to vocals should steer well clear), but if you’re happy with a complete album of spangly (that’s spangly, not spangled) vibes then there’s plenty to love here, particularly Lisa Shaw’s make-me-go-a-bit-funny-at-the-knees vocal on opener I Want Cha, which is coming out as a single soon, and the rumbling Chi-Town b-line on 909. About the label: Surprisingly, as I said, this is on Transport… which is a wicked deep house label out of San Fran. If you don’t know the label this probably isn’t the best place to start, though. May I suggest a couple of label showcases instead, Julius Papp’s Montreal Departure via Om or House Session: Transport Recordings on Soulstar, or better yet DJ MFR’s Rome Departure on Transport itself? Yes, I may. In fact, I just have. This is worth the price of admission for Christian Hornbostel & Alfred Azzetto’s Paradise Garage tribute 84 King St alone, a housified disco romp which comes on like a 1000 Finger Man or Disco Juice for the noughties. Which means that having another 19 upfront soulful/funky/disco house nuggets to play with on top of that – presented unmixed in a lavish two-disc package – is somewhat of a Brucie bonus. As more astute readers will have worked out, this is the sixth in the Master Collection series, which showcases the output of Switzerland’s ever-reliable Purple Music stable. If you dig more trad-style disco house/US garage, then Purple is one of Europe’s most dependable labels. 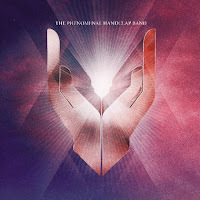 The vibes are pretty much always vocal and uplifting, with the emphasis on full-pelt peak-time belters, and this album, compiled by label stalwart Jamie Lewis, is no exception. What else… some names? How do Michael Watford, Studio Apartment feat Mr V and the mighty Cerrone grab ya? Oh yeah, and there’s a couple of covers, of D-Train’s You’re The One For Me (by Roberto De Carlo) and Joe Smooth’s Promised Land (by The Collective), that thankfully manage to disgrace neither the originals nor themselves and that will guarantee maximum club grinnage. Once again, we’re in Unashamed Disco Dolly™ territory here… chin-strokers will want to look elsewhere, but for sheer joyous vocal house dancefloor action, you won’t find a better album than this this month.